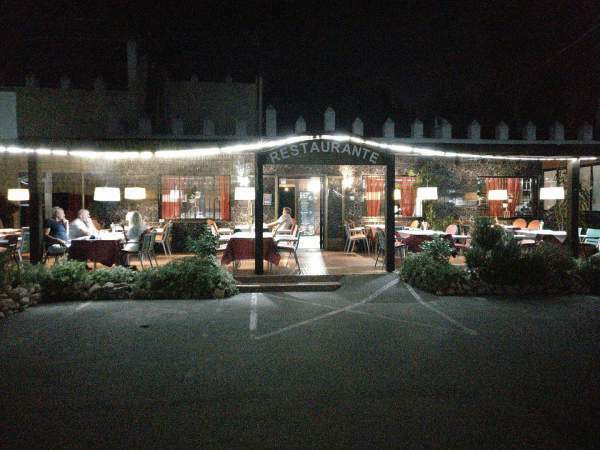 This Restaurant is on the edge of La Escuera and La Marina. 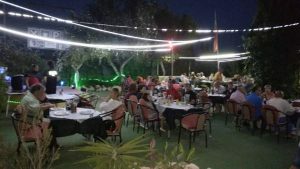 For most of the year it is very pleasant to sit outside in the lovely settings of these well established gardens, have a lovely meal and wine (or Sangria) and listen to the Live Entertainment most evenings. The local Artistes are very professional. 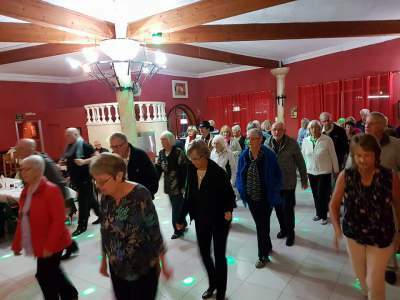 Plus, of course, after your meal there is enough space to dance away a few of the extra pounds you have just added. 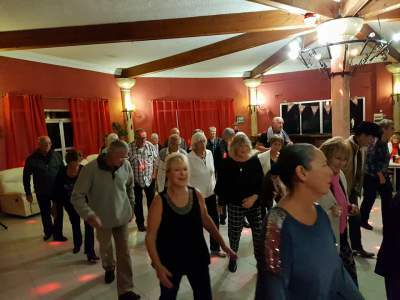 “By Request” Line Dance evening Socials. 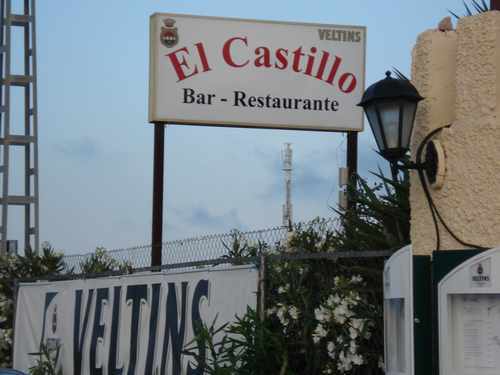 The venue is “EL CASTILLO” (known to everyone as “Los Pinchos”) which is located on Av. 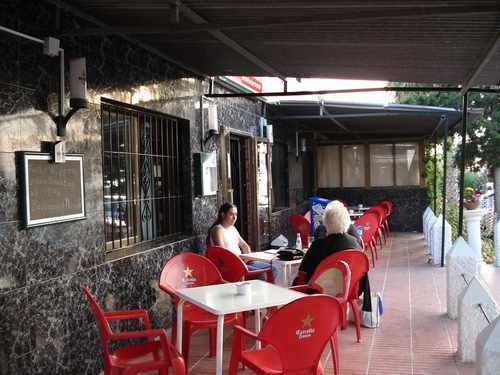 San Fulgencio (The Forest Road), just past the Petrol Station on the Left hand side, before reaching Urb. 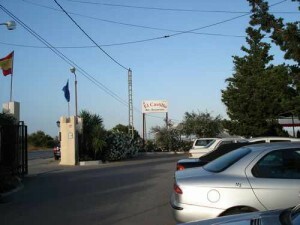 La Marina. Doors open 7.30pm, dancing from 8.00-11.00pm. 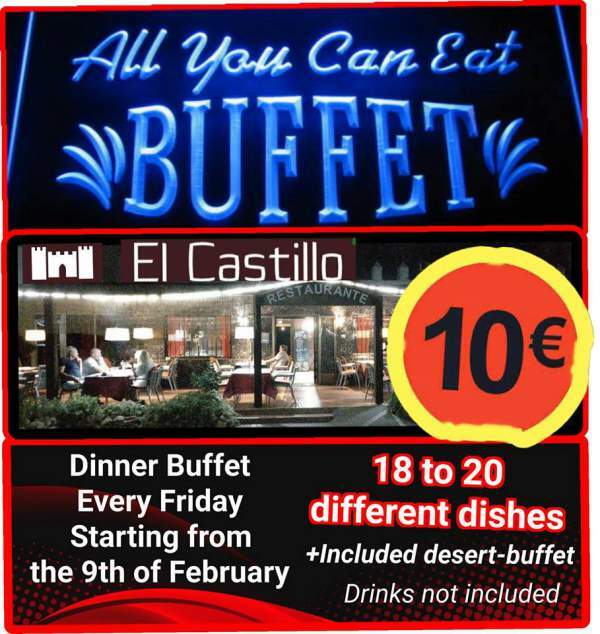 There is off-road parking, reasonable bar prices and hot food available. As usual, only food and drinks purchased at the Restaurant may be consumed there. We look forward to your continued support and hope to see you at our first Social at the NEW venue. 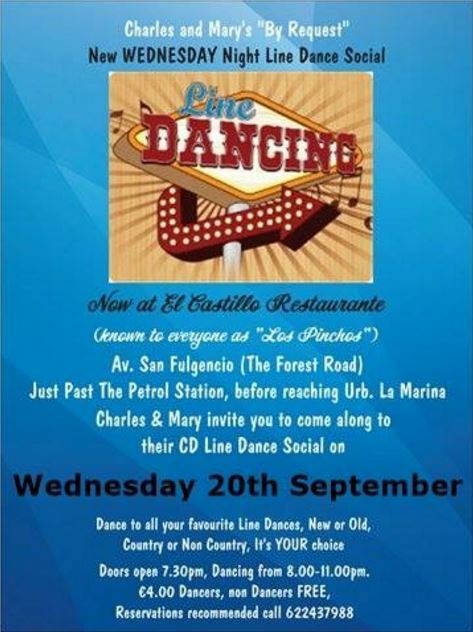 Thank you so much to everyone who comes along to our “By Request” Linedance Social at El Castillo night’s. Despite it being cold outside, we had a good turnout and a great selection of dances requested. 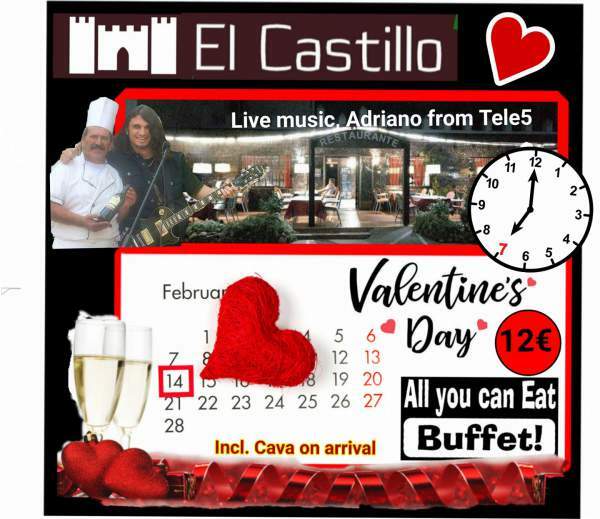 Set in it’s own grounds, El Castillo Restaurant can be found on Ave San Fulgencio in Urb La Marina (locally known as The Forest Road). From N332, take the Urb La Marina turn off – past the Petrol Station and Club Cars. The venue is on the left just on the curve of the road. Parking is available just outside or in the small car park. The El Catillo Restaurant is on the edge of La Escuera and La Marina and is situated near the La Marina Petrol Station. If coming from the N332 it is on your left hand side. 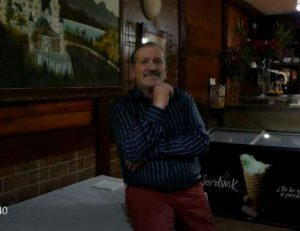 This venue with out dought is one of the top four larger venues in the La Marina area. The site is situated almost next door to El Castillo Bar Restaurante, and conveniently just up the road from the local Garage petrol station.